And finally its time to go back home after a wonderful week at Oracle Open World. We spent 5 days surrounded by the latest Oracle technology. It was a show of much more than software, as Larry Elison (Oracle CEO) mentioned almost a hundred times at his keynote: Hardware + Software. egy of a global company. As usual, it is also time to meet friends from Argentina and catch up on the status of the market in Latin America. We can also meet the people that we talk to everyday on the phone. “Howard Tent”, Oracle stopped two other streets with atent for JavaOne, a tent that was packed full with features from Oracle Technology Network. We played in Legoland and chatted with some tech friends. Sunday’s keynote was about “Cloud computing” and presenting the new “Exalogic” machine (acloud in a box). Afterwards, there was a presentation of a new operating system and the release of the new Fusion Application. In that first presentation Larry was clear that Oracle agrees with Amazon on the cloud definition but not with Salesforce. And that led to a discussion that was refuted by Mark Benioff (Salesforce CEO and founder) during his Wednesday presentation. Regarding Fusion, it’s a very interesting approach sos we as clients and ITC as an organization will be able to keep the plans as defined. There’s no need to migrate our entire footprint to Fusion yet. There are some important tips that we will be working on now both as an organization that provides Oracle Services and as an Oracle End User. Here they are: 1) upgrade and keep updated on the latest release of our product investments, 2) adopt Oracle Fusion Middleware for the value it can provide us today and as a foundation for Oracle Fusion Applications in the future, 3) develop skill sets for standards-based technologies, 4) maintain our current Oracle Applications and take advantage of the new releases Oracle will continue to offer, 5) extend the value of our portfolio with Oracle Fusion Applications module, and finally 6) embrace the Oracle Fusion Applications suite. 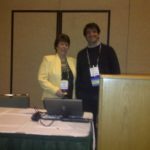 After co-presenting our “Planning for Oracle E-Business Suite 12”with James Utz and Karen Kerames on Sunday to a very crowded room, we spent around 45 minutes answering questions about our expertise on R12. Then it was time to enjoy the Oracle ACE dinner for the first time. Dinner was on a Cruise where we met all the Oracle ACE and ACE Directors from around the world, exchanging experiences while navigating on the bay area. Thanks Marcelo Ochoa for supporting my application and being such a great host during the cruise. Monday was a very busy day. As part of our alliance with Oracle as clients, we will become a global Oracle reference on virtualization using Oracle VM, Oracle Enterprise Linux and Linux Unbreakable. I met several journalists and analysts and got ready for the session “Mission Possible: Oracle E-Business Suite 12 Upgrade on 3 Continents in 6 Months.” It was an awesome session, with lots of people and many questions. I really enjoyed it. On Tuesday, it was time for a video shoot, and Oracle’s PR (thanks Olivia) making sure that I was comfortable (and I was…). The video shooting was done on both English and Spanish and you’ll be able to watch it at Oracle.com pretty soon. On Tuesday, IT Convergence invited several clients and prospects to an Executive dinner which was really good. It was a beautiful evening in Sausalito inone of the top restaurants of the area which boasts outstanding service. Patrick Krause (ITC President) gave a brief speech on the latest news about IT Convergence such as the fact that the company will be opening an office in India, extending operations in Brazil and continuing our focus on providing training and public classes around United States and Latin America. On Wednesday, I spent some time at the IT Convergence booth talking to the people from all over the world that were visiting the exhibition. 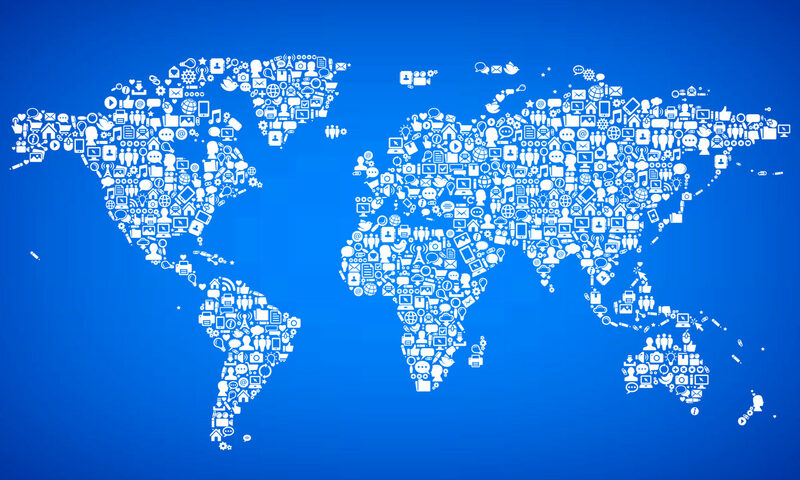 I learnt that 110 countries were represented at Oracle Open World and it sounds about right to me. On Wednesday morning I attended a Salesforce’s presentation. It was really interesting to see how Mark Benioff (a former Oracle employee) was attacking (he started his speech with “I came in peace”) the definition of Elisson on the Cloud in the box. He invited Michael Dell onto the stage, who was very careful with his words. That session was about the presentation of their new “Chatter” tool, which looks like Facebook (but for business, I’m not so sure). At 1pm, it was time for the session where I had been invited by Oracle to show our successful implementation of Oracle VM, Oracle Enterprise Linux and Linux unbreakable. After several phone calls and email exchanges I met John, Max and Zeynep. The presentation covered all the angles of a database migration, and application tier, to different operating systems for virtualization. It also addressed the new tools that Oracle is providing to support this, concluding with IT Convergence’s success story. “The appreciation event” in the evening was huge. With more than 15,000 people (not sure how many) and many bands and lots of food and drink, it was the perfect wrap up for an amazing show. Black Eyed Peas, Berlin and many others got the people jumping and dancing until 1am! It was just great! Thursday was the last session. Patrick and I, together with Rao from Oracle presented “Oracle Project Analytics for Oracle E-Business Suite”. Many people were interested in our implementation process and in how we were able to get the most from Oracle BI Enterprise Edition and Projects Analytics in our E-Business Suite implementation. Rao presented the roadmap of Project analytics and how this will be integrated with Fusion application. It was a great show. Thanks Oracle for such an incredible week and we all look forward to Oracle Open World 2011. For more information, please check out IT Convergence’s Oracle OpenWorld 2010 Resource page. 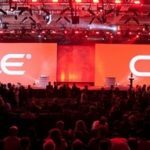 The white paper backing up Gustavo’s “Mission Possible” presentation is available for download, and other Oracle OpenWorld Power Point Presentations will soon be uploaded for your convenience. Click here to visit.